The Canadian National Hockey League teams won by identical 3-1 scores at home in the two games scheduled last night. Toronto downed Detroit, while Montreal beat Boston. In Toronto, defenceman Tim Horton provided the winning offensive margin, scoring two goals to lead the Leafs over the Red Wings. After Toronto had staked Detroit to a 1-0 first period lead, Horton fired his first of the night to even things at one late in the first. 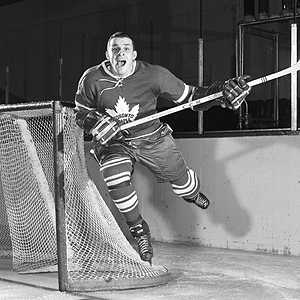 He later scored a short-handed goal to give the Leafs a 3-1 lead while playing forward on the penalty kill. 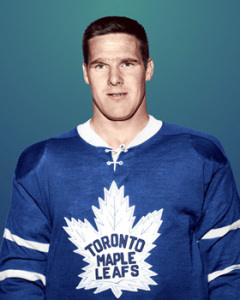 Tim Horton, a rare two-goal night for the defenceman. Ron Stewart had the second Toronto goal early in the second period. He deflected a point shot by Allan Stanley past Wings goalie Roger Crozier. Norm Ullman was the Detroit goal-getter, connecting for his 15th of the season. Red Wing coach Sid Abel was more miffed at the stick work by Toronto defenceman Carl Brewer than he was by the loss. Carl Brewer: his stick-work raised the ire of the Red Wings. Abel was mainly referring to an eye injury suffered by Ullman in the second period. He needed three stitches to close a gash under the right eye and played the rest of the game with blurred vision. Abel said that Ullman will see an eye specialist once the team returns home. Ullman expressed the opinion that the play should have resulted in a five-minute major to Brewer, but he was told by the referee that he did not see the play. Leafs lost captain George Armstrong with a knee injury after he was checked by Bruce MacGregor of the Wings. Severity of the injury was not known immediately after the game. Leafs were already without Ron Ellis, who was knocked out in the previous Toronto match, with a concussion. Brit Selby was up from the Marlies to replace Ellis. Henri (Pocket Rocket) Richard scored a pair of third period markers to power the Canadiens past Boston. Jacques Laperriere scored the other Montreal goal, while rookie Wayne Maxner found the range for the Bruins. 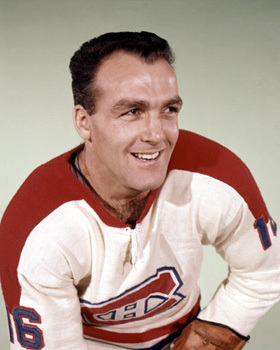 Henri Richard led Habs over Bruins with two third period goals. The game was a close-checking affair, and the scoring chances that did occur all came from the Habs. Boston goalkeeper Ed Johnston put in a superb performance and if not for his work, the score would have been much more lop-sided. Johnston faced 46 shots, compared to only 18 for Charlie Hodge, between the pipes for Montreal.